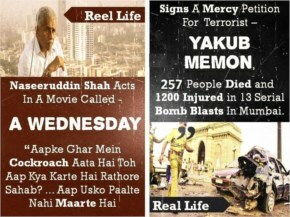 Indian Media and press are Expressing Terrorist Yakub Memon as Innocent Martyr do you agree??? 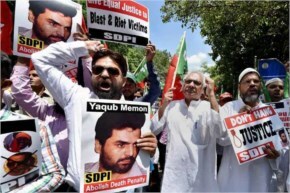 What a Shame for the entire media giving such a lot of importance to the terrorist who have killed so many lives and by hanging the terrorist we are sad and spreading the prominence of Yakub Memon on the front Pages as he do not even deserve a little for it. Shame on Indian Media and press for supporting this criminal. Hang yourselves for not showing respect to our late and honest APJAK while media showing great interest in the criminal funeral matters. 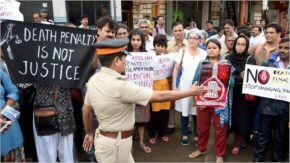 The Report should be such as the terrorist who have killed 257 lives in the Mumbai Bomb Blast is being hanged so the families would get justice and by creating this other criminals would also get alert that they too have to think to do crime before thinking. If the Indian Media and press are feeling Sympathized for the terrorist public should knock them out for giving respect to such a monster and calling him a martyr. It’s really shame on our press anchors and the Indian Media calls the terrorist as Yakub Ji, Dawood Ji and soon or later media will make them Yakub pir baba who lost his life and would be awarded by all this Medias. 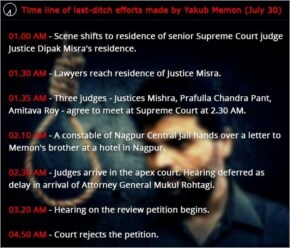 Now comes our Lawyers you have worked so hard day and night to submit the mercy petition of Yakub Memon and showed their skill that could be appreciable. Even the Lawyers are so feeling pity that they are knocking the doors of the judges at the middle of the night and requesting for the hanging delay and mercy petition. Shame on you Lawyers you are not capable to show your face to the public instead you should have saved a poor families. Indian Media stop promoting your channel that who would be presenting the most interesting news for their so called Yakub Martyr. 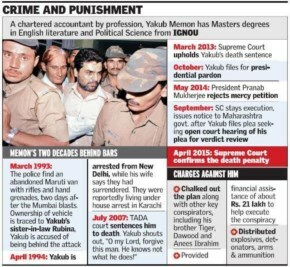 God save this country why you media are always thinking for your Fruitful outcome and writing such an article as check How was Yakub Memon hanged. Media spreading this rubbish news instead of thinking of the innocent people who lost their lives and yet their families are struggling so write article on this Indian Media. 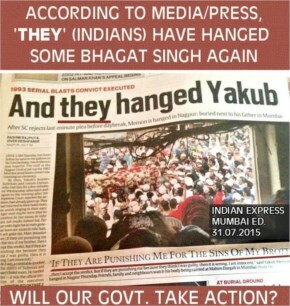 Press do you think the 257 lives of Hindus would get justice by hanging this one Muslim terrorist, No!! 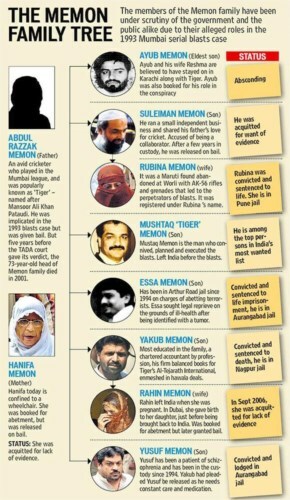 hang their families too who were also involved for the same. Instead of presenting him a Hero of India who sacrifice his life. Media do you think Muslim terrorist news would be much interesting then our APJAK who have done a lot for our country so who should get respect more. And you News channel are printing Yakub funeral news in front page. So Lawyers It’s the duty of courts and the judges to decide who to give justice not you nor me. So if you value Pakistani people more then there is no place for you all to stay in India get Lost to Pakistan and will see what the Muslims people would treat you as. People one Muslim is buried today and all Indians are crying while the other Muslim who was buried yesterday was not as much importance as Yakub that media are printing news in front full page. 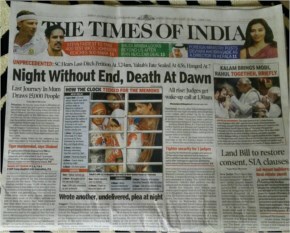 While APJ news was in the right corner of the newspapers.